Keeping a clean office is good for you and science can prove it. Keeping your office clean is good for you and science can prove it. We all know about the benefits of having a clean office. Aside from the practical and obvious aesthetic reasons, companies are working in a clean working environment also saving time and money by keeping the employees healthy thus increasing productivity. However, reducing the microbial level is not the only health benefit, this has an effect on our mental health as well. 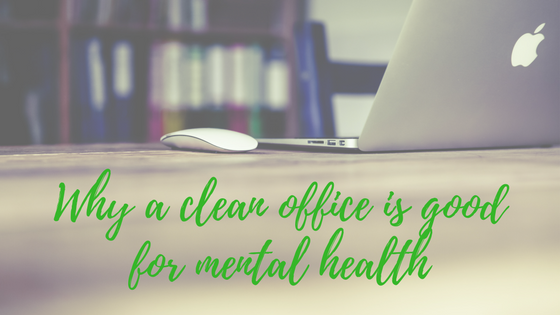 More than keeping things organised and tidy looking, there is actually mental health benefits of a clean office. Who would have thought that seeing that clean and well organised desk is worth more than any stress medicine? Keeping things clean and organised is good for you and science can prove it. A study by an Indiana University professor and research scientist, Nicole R. Keith, Ph.D. that people with clean houses are healthier than people with messy houses. This goes the same for office spaces. Researchers found that it is harder to focus on a task when there is clutter. Clutter distracts attention and oftentimes affects the efficient completion of tasks. Mental health is often a touchy subject but lately has been an issue the world is putting more focus on. 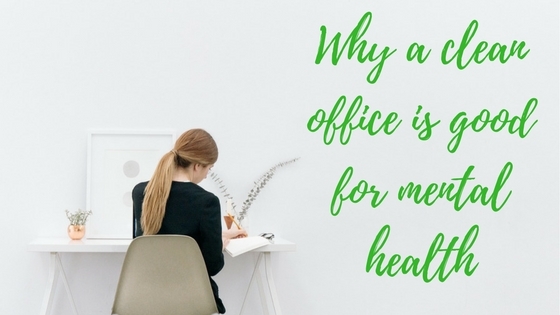 More than we care to admit, our mental condition oftentimes affect our performance at work. When you are stressed or depressed, the quality of your work may be affected. Physical clutter can mean mental clutter. However, seeing a clean working space may take off a mental load off of you and will make you feel more relaxed. This can make a real difference. More and more companies thankfully, understand that performance requires a healthy mind. Cleaning often gets regarded as a simple routine but there are more surprising benefits to it. The Lifestyle Cleaning Services’ has decades of experience and we understand how to help you create a healthy working environment for you and your team. One that helps both the mind and body. if you have a mess– we can fix it!